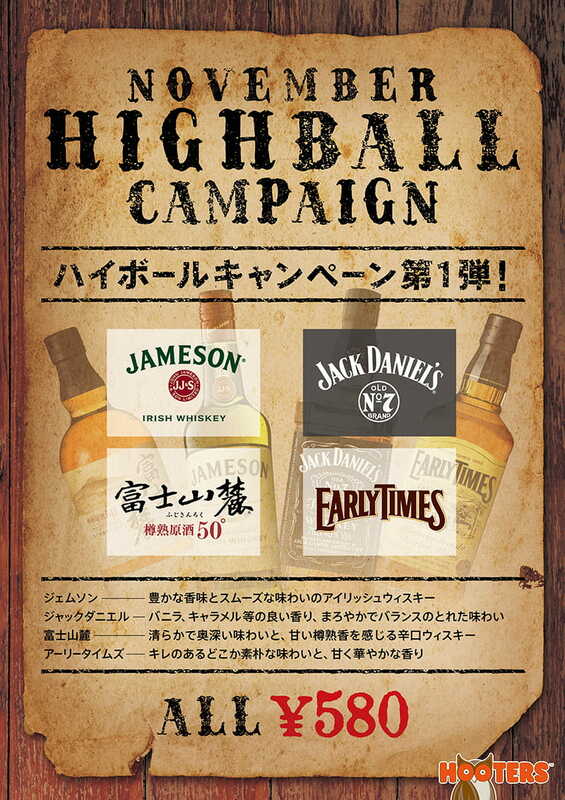 For a limited time only, HOOTERS is offering 4 types of standard “Whiskey & soda” at a reasonable price of 580yen. Please contact the nearest location for detail! « End on a happy note with our “Chocolate Brownie”!